Complete Pest Control Solutions For Hospitality. Find Out why for over 40 years thousands of loyal customers continue to Dial-A -Bug! Dial-a-Bug also has NESDCA certified Bed Bug Dogs to help detect Bed Bugs. 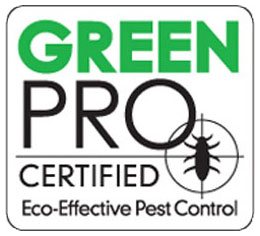 We are a second generation family owned and operated Pest Control company serving all Metropolitan New York, Long Island and Northern New Jersey areas since 1969. The Solution To All Your Pest Control Needs! Dial-a-Bug pest control has been serving NYC and the New York Metropolitan area since 1969. By providing effective, low cost protection from termites, bed bugs or other insects for Residential, Commercial and Industrial properties, we have grown into one of the largest regional pest control companies in New York. We have been called "The Management Company's Best Friend" for a reason. It’s because we take pride in what we do and our service is unmatched in the industry. From Residential homes to apartment complexes, hotels, hospitals, nursing homes, schools and day care centers and all other commercial and industrial locations, we do it all and we do it right!